I had to work with the wind the best I could, but the sun was finally starting to shine and I think we can finally say Spring is officially here & here to stay! Brown & black is one of my favorite color combinations, and I was happy to add in some green with it too....since green is my favorite color! I have seen a lot of people wearing clothing from Romwe, and I never really knew what to expect from the company. I'm so happy to say that I was pleasantly surprised when I received this skirt from them. The color is absolutely perfect, it is so comfortable with actually great quality. You never know with some companies so I'm very pleased...I can't wait to wear it more! Remember, you all have a chance to win some goodies from Romwe too! Have any of you guys gone to see it? This whole outfit is stunning, love the way the skirt flows, it's a gorgeous colour. such a pretty dress! love the print! Gorgeous skirt! I adore the patterned blouse too! That skirt is so dreamy! I love it. 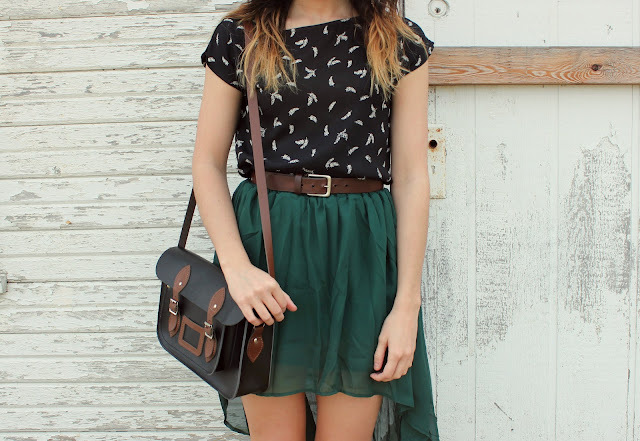 i love that skirt! and super cute with the flats! I adoreee this outfit, Tonya! That skirt is the prettiest thing ever, not to mention your shoes are so cute. Can't believe they're vintage! Ohhh this outfit is perfect!!!! great colors! Wow, I really love this look Tonya! 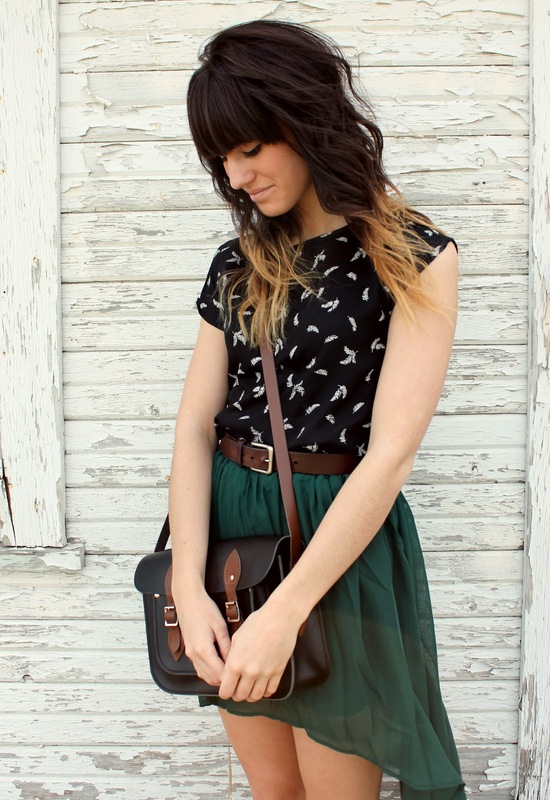 The satchel is too perfect, love the skirt too! 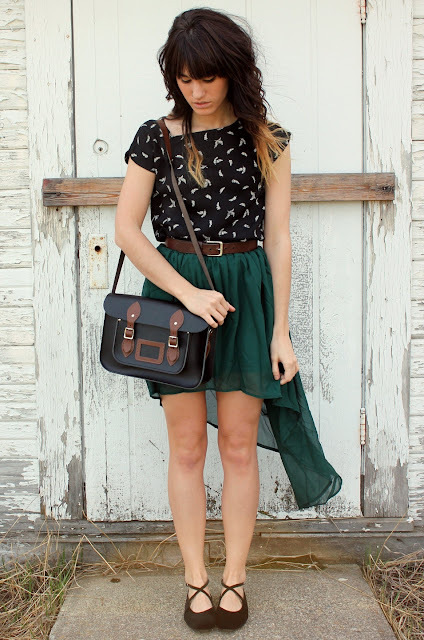 such a pretty, whimsical outfit! lovely. I am so happy that the sun has been around WA lately! Love your outfit, you look great and very feminine!! This is so beautiful, girl! Love the color mix! You look awesome. pretty outfit & the color of the skirt is lovely. Ah, green is my favorite too, this shade especially is so beautiful! I have never bought from Romwe, but I have been looking for a hi-low skirt like this so maybe I will have to make a little splurge. Blackbird is the prettiest/ saddest song ever to me! PS, your hair is too perfect! Stunning outfit, that skirt is gorgeous! I love your header too! I haven't seen Titanic 3d but I really want to! Suuuuper cute outit! Love everything about it! OMG I love this skirt!!! Great outfit!! !